Hello me Cookie Report lovers! It is Halloween! Me is already and dressed up to go trick or treating - although that is not very common here in the Netherlands. 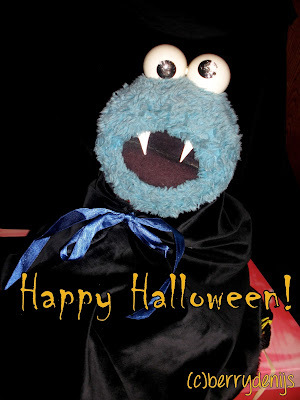 Nevertheless, Berry promised me some Halloween cookies, so me is all fine by that. Me is all curious if you will be celebrating Halloween! Please drop me a note and a picture of your costume. O and do not eat all candies at once okay.